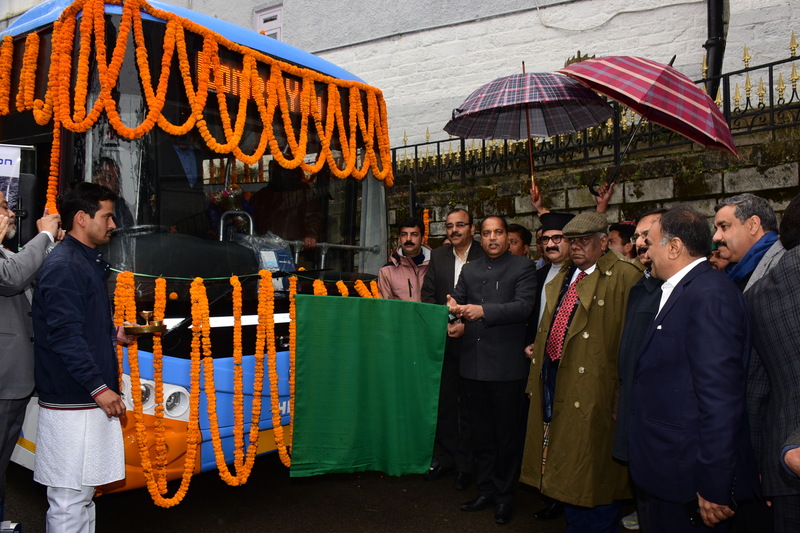 Shimla : Chief Minister Jai Ram Thakur today flagged off an electric bus for Shimla town from the State Vidhan Sabha Complex on Monday. Thakur told reporters after the flagging off ceremony that fifty such buses would ply in Shimla town. He said that these buses were equipped with latest equipments and have zero pollution emission. 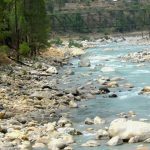 This would go a long way in protecting the salubrious and pristine environment of Shimla city. He said that these buses would be commuters delight as they would be able to enjoy noise free and comfortable journey. Transport Minister Govind Thakur, Chief Secretary B.K.Agarwal, Principal Secretary Transport J.C. Sharma, Additional Principal Secretary Sanjay Kundu, MD HRTC Dr. Sandeep Bhatnagar were present on the occasion among others.